This weekend Gabrielle Union was on hand to cheer on Sloane Stephens as she won the 2018 Miami Open in Miami, Florida. She showed off her casual, off-duty look via her instagram. 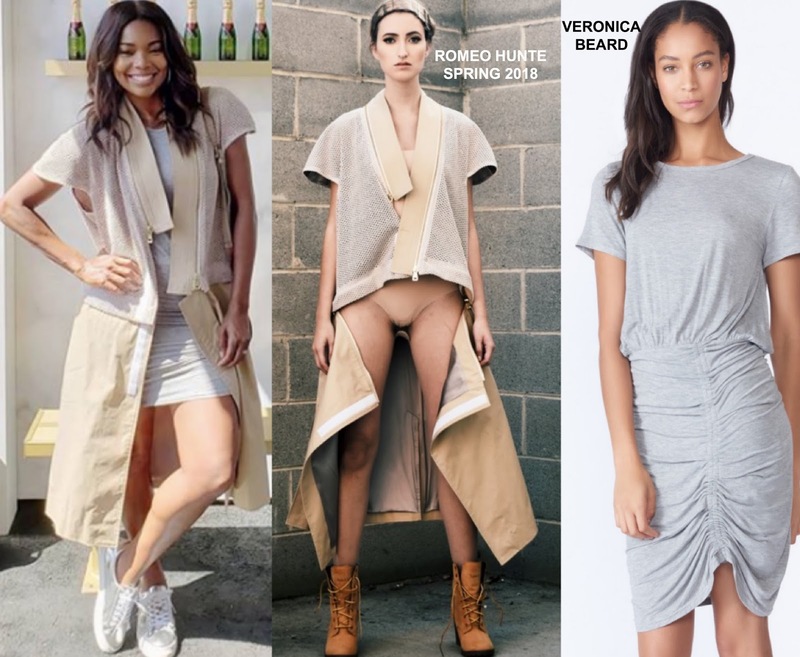 She posed for the gram rocking the ROMEO HUNTE SPRING 2018 'Koji' 2'n'1 midi coat with the VERONICA BEARD 'Yari' ruched heather grey dress underneath. GU's look along with her SUECOMMA BONNIE silver & white sneakers was perfect for the Miami Open. Hoop earrings and center part waves finished up her look. Are you feeling Gabby's instagram style? 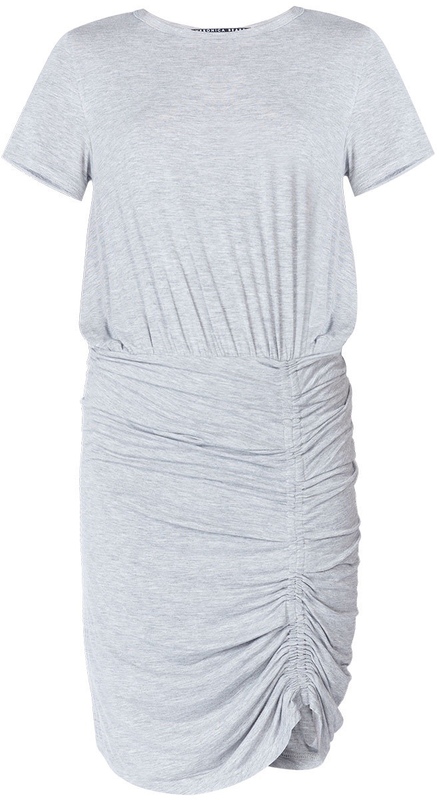 You can get GU's Veronica Beard dress via the designer's website HERE & at NORDSTROM.